This is an original multi-layered acrylic painting on 12" x 12" canvas. 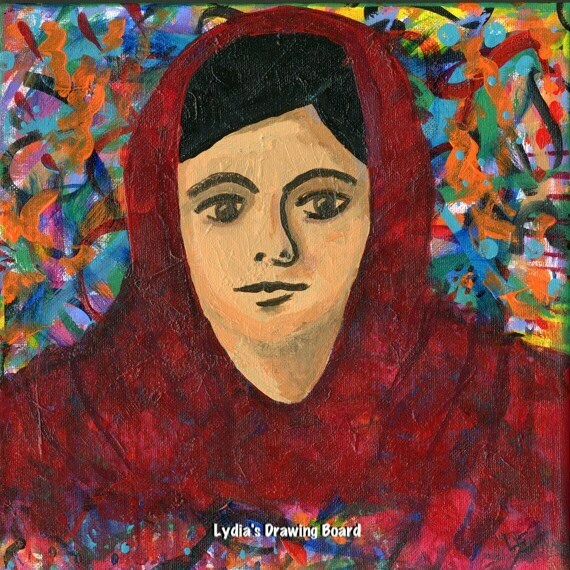 This painting is of Malala Yousafzai, the courageous young woman who was shot by members of the Taliban, because she stands for education of women. Wire is attached to the back for hanging. Sides of the canvas are painted in a color to complement the color scheme of the mandala. The watermark does not appear on the canvas. I will try to ship your item within 3 - 5 business days. The item will be carefully packaged and shipped using USPS priority mail or other ground carrier.